Have you experience water damage in Fort Lauderdale? Water damage is a general term that describes damage or loss that is caused by water making contact with a material. Many types of material can be compromised or even destroyed by water intrusion. Wood often rots, steel can rust, plywood can delaminate, and many other materials can be seriously damaged by water. Water damage is a major issue due to the fact that it can take some time for the damage to become apparent. It is also one of the biggest contributors to property loss in the state of Florida. Gold Coast Public Adjusters are licensed public adjusters and can help you file insurance claims for all types of damages, including water and mold damage repair. We are experienced in negotiating with insurance companies and are ready to help you secure the insurance settlement you are entitled to repair the water damage done to your property. Are you making an Insurance Claim from water damage? Get your insurance claim handled right from the start! Call Gold Coast Public Adjusters 754-444-7411. You wouldn’t go to court without an attorney, right? Why would you process a claim without a Public Adjuster? 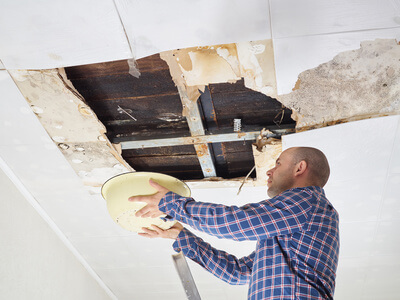 Water Damage Can Result From Many Different Causes. Did these happen to you at your home, condominium, or business? Leaky pipes can cause lots of damage! How do we inspect water Damage in Fort Lauderdale? Water damage is one of the worst damaging elements. It creates the most homeowner insurance claims. Water can do so much damage to a home with devastating effects! If water damage isn’t handled correctly, it can cause greater damage inside the walls and underneath the floors by creating hazardous mold growth. Once a mold problem begins, it only continues to grow. For these reasons, water damage MUST be taken care of correctly and completely! Calling a public adjuster that knows how to handle and navigate water damage insurance claims and mold investigations will save you time and money, and give you peace of mind to know it’s done right! Gold Coast Public Adjusters understands how to investigate water/mold damage and the testing and analysis it will require. You wouldn’t go to court without an attorney. Why would you process a claim without a Public Adjuster?